A father and son team from Surrey are attempting to break the UK and World non-stop Wakeboarding records to raise funds for Overcoming MS.
David, 57 and Harrison Woodward, 24, will make the attempt on Monday 29 April 2019 at Thorpe Lakes Cable Park, Chertsey starting at just before 10am. 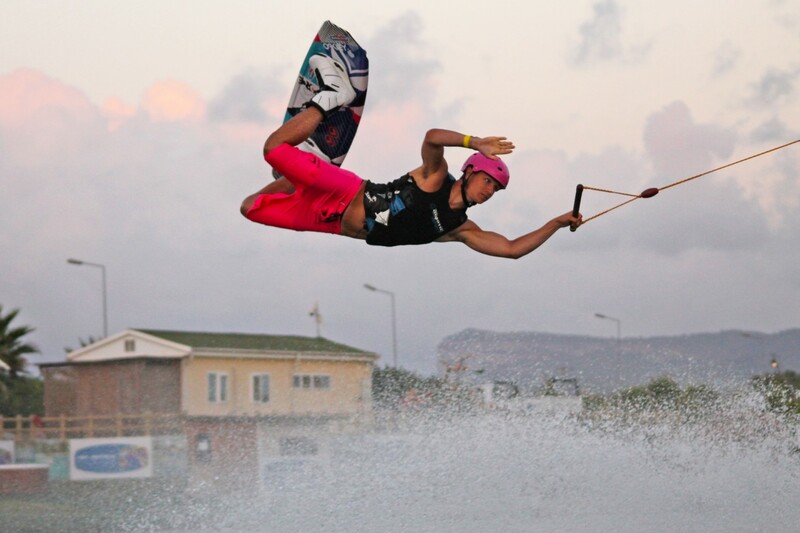 The challenge is to ride wakeboards non-stop for as long as they can on a cable. The father and son will be be riding at the same time, on opposite sides of a cable for as long as possible in an attempt to break both the UK and World records. If you're interested in how this works, take a peak at this video. The current UK record is 7 hours, 4 minutes and 27 seconds, the World Record is 10 hours and 5 seconds. If all goes according to plan, the British record will be broken at around 5pm, and if achieved, the World record will be broken at around 8pm. This was a frightening experience, however Ginny did recover from this episode within a couple of months. Then an unrelated operation in 2013 which went horribly wrong triggered the MS symptoms once more, the symptoms are ongoing. Ginny has found the advice and support available from Overcoming MS invaluable. David raised almost £1,000 for OMS on the 50k Thames Path Challenge last year but hope this challenge will fundraise over £2,500 for OMS. David and Harry have been riding at Thorpe Lakes for over 15 years and training over the winter on the full-size four corner cable. To read more about David and Harry’s challenge or to sponsor them you can visit their JustGiving page here. David and Harry would like to encourage anyone who’s around on the day to come down to the lake on the day. See: https://www.thorpelakeswatersports.co.uk/ for info and directions. Five years after being diagnosed with MS, Catherine summited the tallest peak in England to raise awareness and funding for Overcoming Multiple Sclerosis.